Bette Engel was born on March 5, 1926 in Chicago, Illinois. She died Tuesday, April 2, 2019 at Arboria in Long Grove, Illinois. For most of her life Bette was a homemaker. She was proud to host holiday and many family gatherings. She especially loved spending time with her grandchildren and great-grandchildren, as they were the center of her world. Many were drawn to her confident and strong-willed personality. 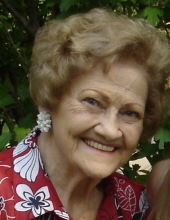 She formed friendships effortlessly and welcomed the company of people of all ages. Bette enjoyed playing bridge, reading, shopping and watching Jeopardy. Each summer and fall, she faithfully followed her beloved Chicago Cubs and Notre Dame Fighting Irish. Bette is survived by her daughter Susan Sparks; her son Richard (Jill) Engel; her grandchildren Daniel Engel, Jennifer (Stacey) Staten, Steven (Lindsay) Sparks, Kathryn Sparks, Regina Engel, Thomas Engel, Anthony (Megan) Engel; and 7 great-grandchildren. She was preceded in death by her husband Henry W. Engel, her parents, John T. and Pauline (nee Tauss) Palmer, her son Gary, and her brother John Palmer. We will celebrate the life of this extraordinary woman with a Memorial Visitation on April 11, 2019 from 10:00am until time of Memorial Mass at 11:00am at St. Mary Parish, 10 N. Buffalo Grove Rd., Buffalo Grove, IL 60089. Interment will be private. In lieu of flowers memorials may be given to the American Academy of Pediatrics Friends of Children Fund. "Email Address" would like to share the life celebration of Bette Engel. Click on the "link" to go to share a favorite memory or leave a condolence message for the family.